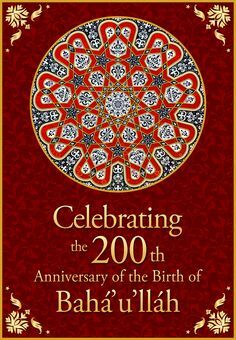 about this site | bahá'í children's class ideas! baha’i children’s class ideas is a website born of a desire to provide resources and inspiration to teachers of Baha’i children’s classes, and particularly to foster learning about neighbourhood children’s classes. Its primary purpose is to share as broadly as possible concrete materials, ideas and concepts that will help teachers, whether experienced, novice, or prospective, to deliver lessons and manage classes in an effective and enjoyable manner. In order to take a systematic approach to this learning, the following methodology is used: 1) blog lesson plans; 2) put said lesson plans into practice; 3) blog the results. Each lesson plan has an associated “experience” section which explains how effective the plan was when put into practice. this provides a cycle of action and reflection that stimulates learning; a certain level of consultation is also provided by the suggestions and comments left by visitors. 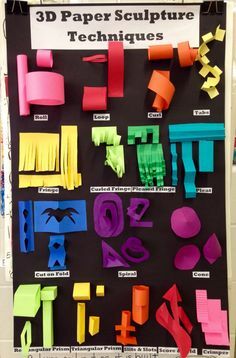 Also included with the lesson plans are many examples of activities: games, crafts, songs, stories, worksheets, and so on – most of them having been field-tested during the regular classes that form the raison d’être of the blog. dan jones is a Baha’i from Ottawa, Canada who has served as a neighbourhood children’s class teacher since 2004. he loves teaching, singing and telling stories. I have some worksheets that I’ve made up for some of the virtues. If you’re interested I can email them to you and you can see if it’s something you’d like to put on your site. Can you send the worksheets to me as well? I start next weekend with children’s classes in my community. Thank-you so much for documenting your experience. We’ve just started a class in our neighborhood and with overwhelming response, we need all the help we can get. Please keep at it- you are accompanying so many of us. From Vancouver, Canada. Haven’t tried it yet but sounds marvelous. what a fantastic idea! a reflection meeting every time you blog! I am a neighborhood children class teacher and I am very much interested in scripts that can be played by children demonstrating spiritual concepts in Ruhi3. I find the stories in Ruhi3 good for story telling but they cannot be used as a play since in most stories ‘Abdul’Baha is the main actor. I would greatly appreciate your help on this. I think acting a play is a lot of fun as well as good way of teaching spiritual concepts. Greetings from a neighborhood in Fairbanks, Alaska. This blog is a wonderful find in searching for memorization activities. We have a weekly class in my home, attended mostly by neighbors. The group progressed into 3A, the first in Fairbanks. So, the learning is challenging with feed back from the children, parents, co-teachers and the Cluster Coordinator. So, finding your blog is a God send! The calendar is of special interest to us. Alaska has intense seasons. The winter, being long, dark and cold, is when most community type activities take place. The summer is short, usually perfect temperatures, and light almost 24 hours a day. Families usually use every free waking hour outside gardening, hiking, touring, etc. Plus most have family that come from the Lower 48 or elsewhere for vacations. Last summer we stopped the regular weekly classes. Instead we did a week long 1/2 day camp with wonderful results. But this summer it looks like we don’t have the resources to do this. We are planning a parent / teacher meeting. It might be a blessing of getting more parent participation. Any ideas on how to link this year’s weekly classes to next falls start up of them again? Are you interested in any contributions to this websites such as interactive learning programs? I am sooo excited to find this site! 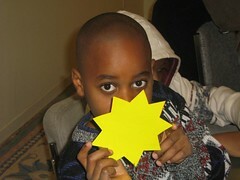 We have been holding a neighborhood children’s class since Sept. 2007 for underprivldeged children in our neighborhood. It is the most rewarding experience of my life. I am so excited to find this resource and would love to be able to share our experience with you. If you are interested, please let me know how to send info. to you. In humble service to the Cause!